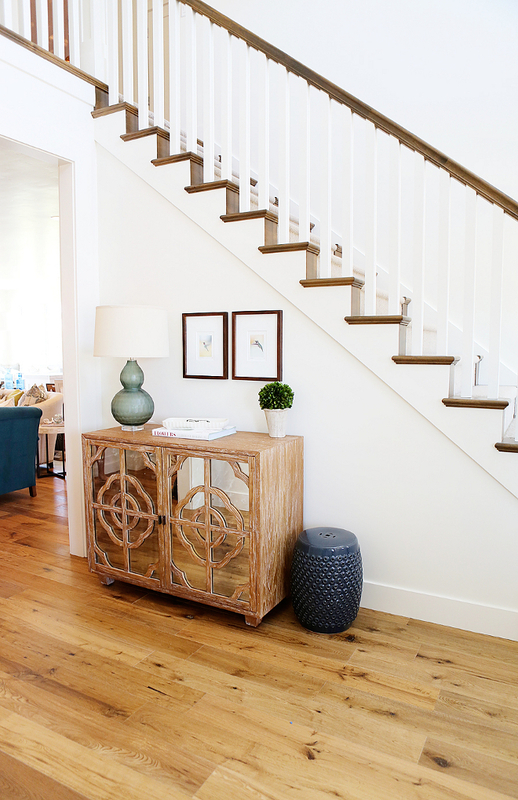 It’s wonderful to be back with these new and fresh interior design ideas! 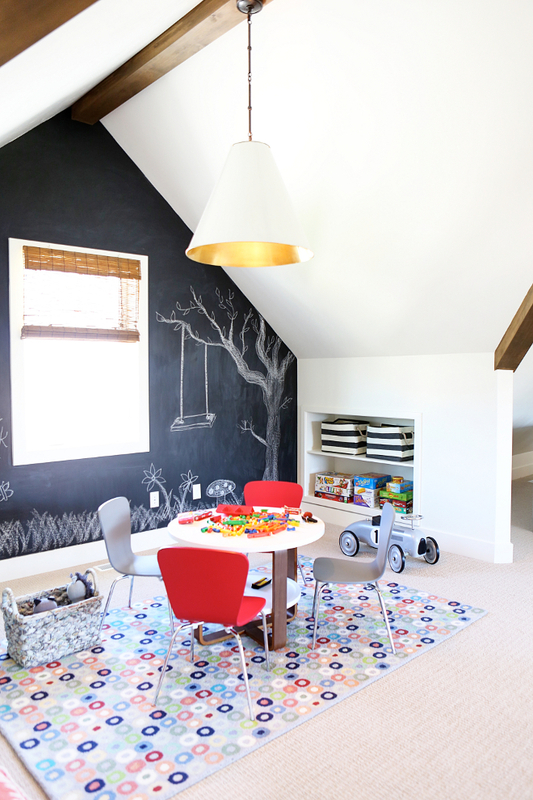 Today’s post is filled with so many amazing homes and spaces that I am sure you guys will love. 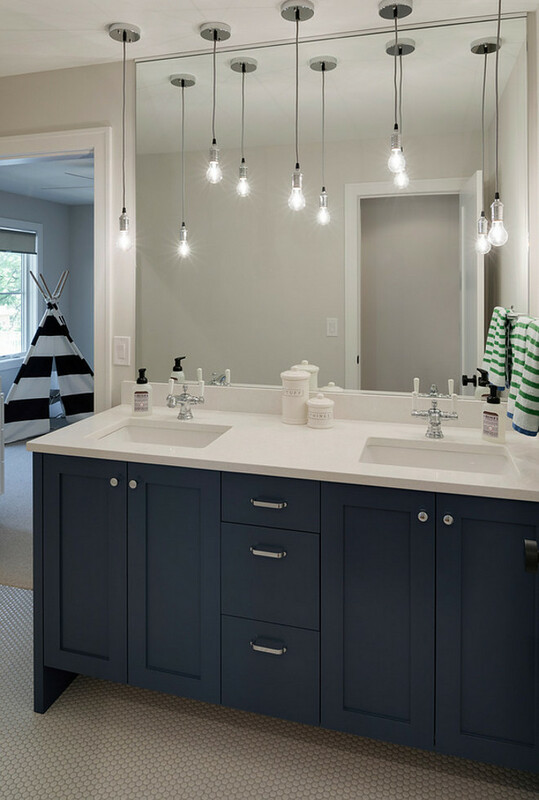 I am happy to have some great names of this industry such as Caitlin Creer Interiors, Millhaven Homes, Refined LLC and many others. 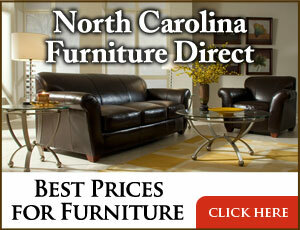 Make sure to take notes and pin these pictures – I am sharing many sources like paint color, lighting, decor and more! 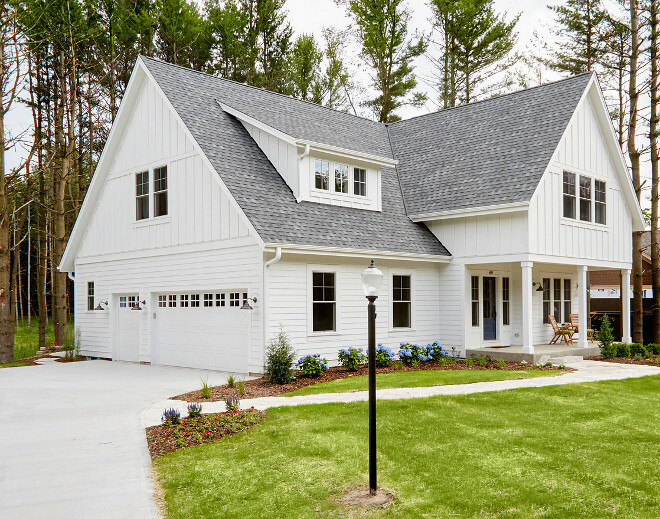 The siding color is Benjamin Moore “Oxford White”. The front door paint color is Benjamin Moore “Black”. 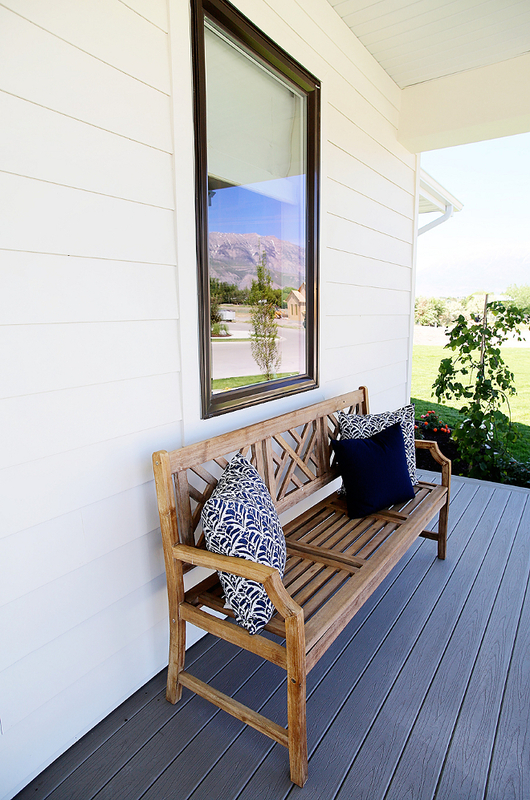 Home features white siding painted in Benjamin Moore OC-17 White Dove and brick porch steps. 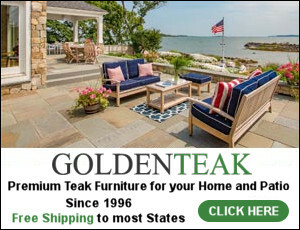 The teak porch bench is from Wayfair. 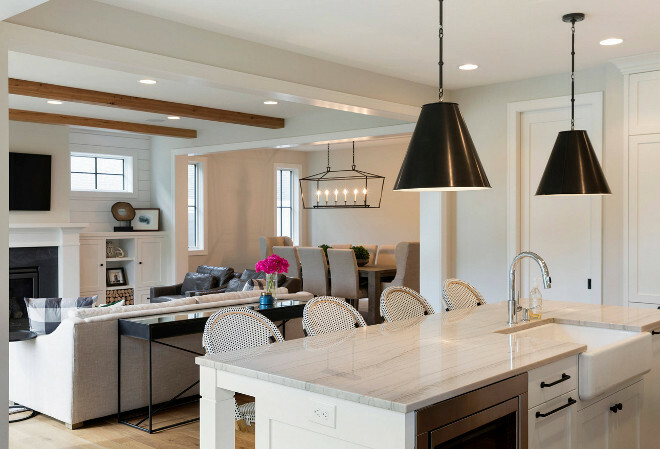 Porch lighting is Restoration Hardware Vintage Barn Pendant in Weathered Zinc. White wall paint color is Benjamin Moore White Dove OC-17 Satin. White trim paint color is Benjamin Moore White Dove OC-17 Semigloss. 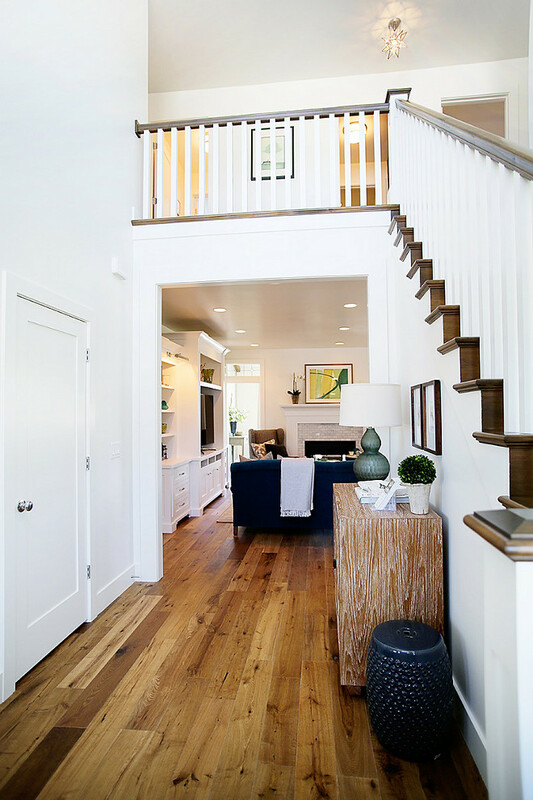 Hardwood flooring is Provenza Floors Heirloom Glasgow. Counterstools are Serena & Lily. 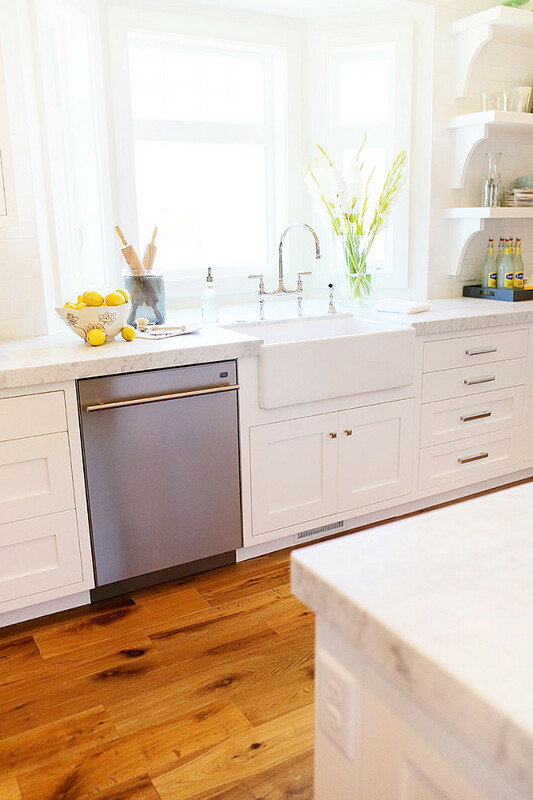 Crisp white cabinets contrast against the warm hardwood floor. 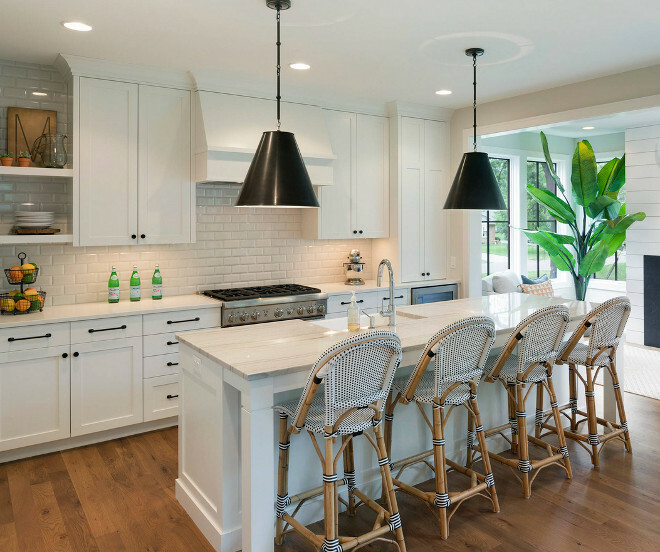 You can find the kitchen lighting here. 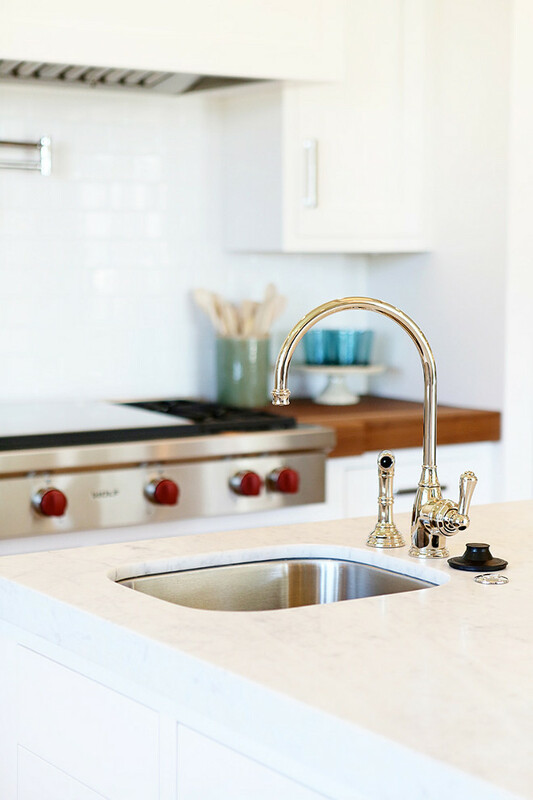 Prep sink faucet is by Rohl. Benjamin Moore Swiss Coffee OC-45. 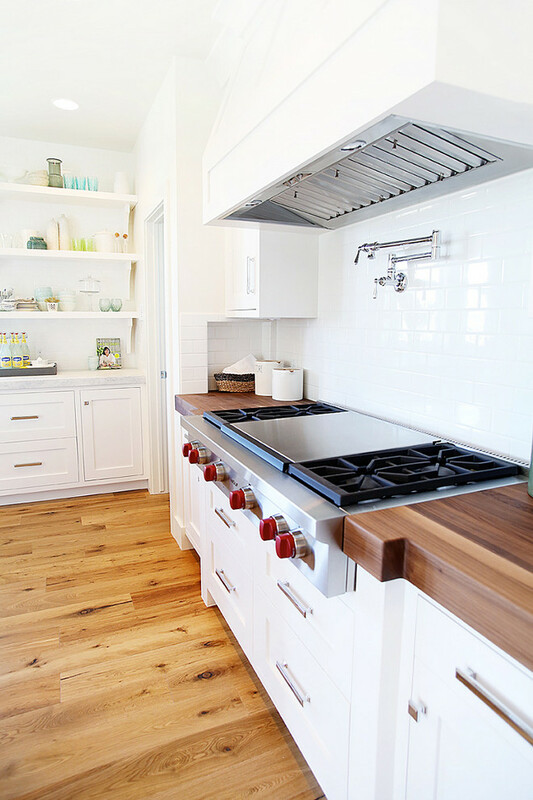 Pot filler is by Moen. 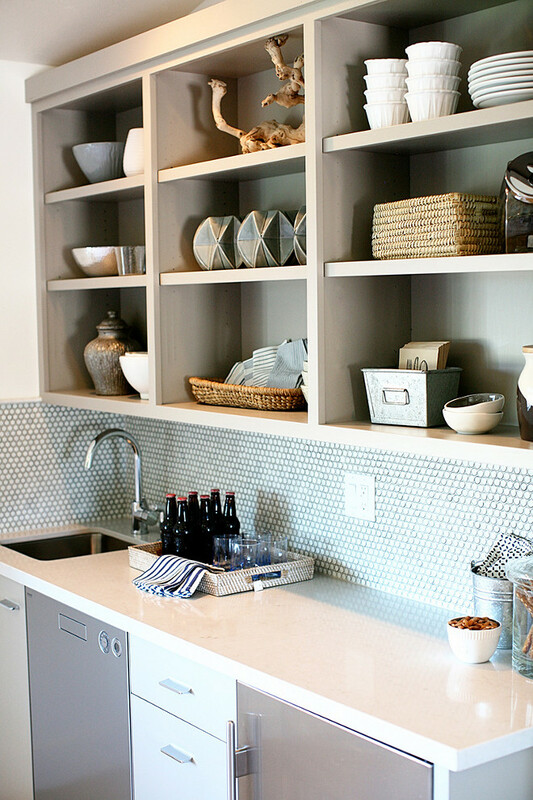 Faucet is Rohl kitchen bridge faucet with sidespray. 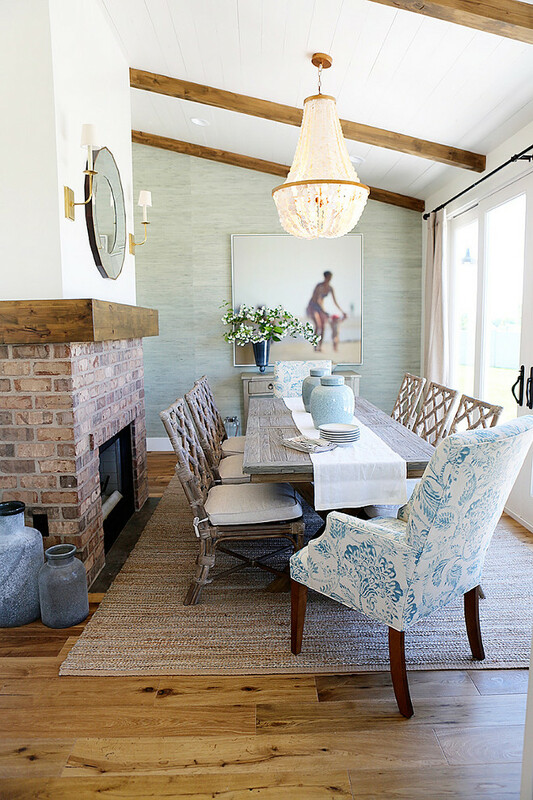 Gorgeous dining room with grasscloth wallpaper and brick fireplace. Paint color is Benjamin Moore Briarwood HC-175. Cabinet paint color is Benjamin Moore Hamilton Blue. 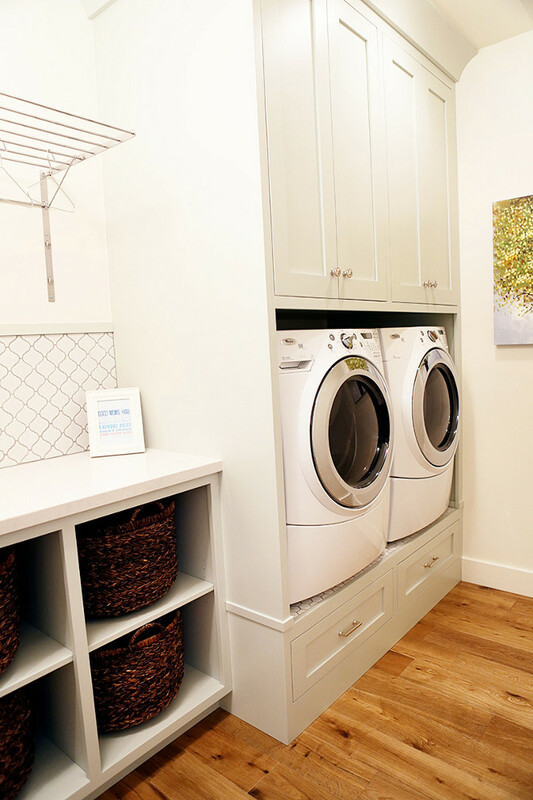 Laundry room with elevated washer and dryer – great idea to help your back and add extra storage! Cabinet paint color is Benjamin Moore Gray Cashmere. 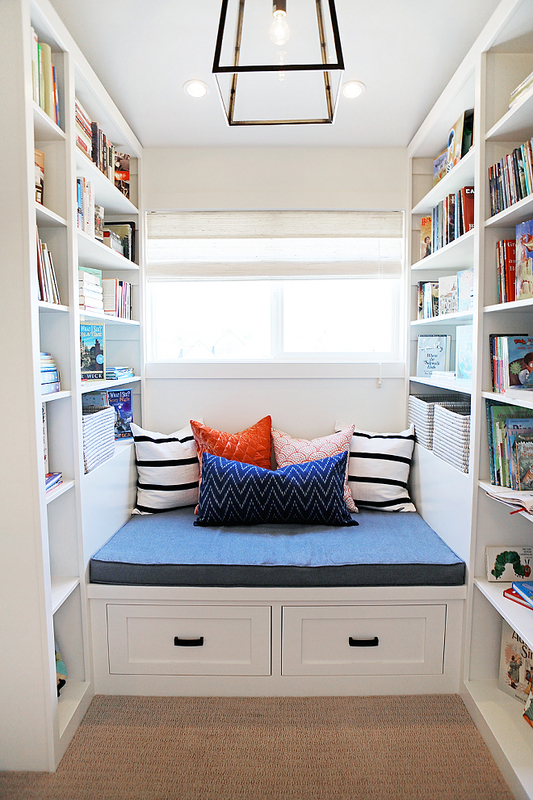 I am loving this reading nook with bookshelves. 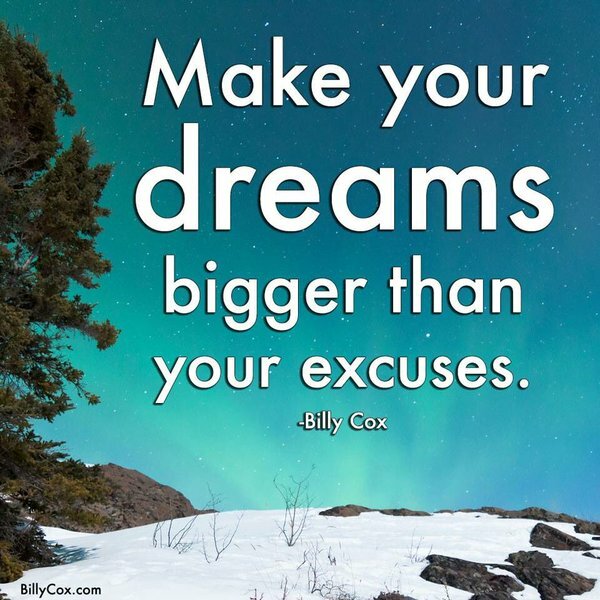 It’s perfect for a kid’s bedroom or playroom. Bathroom with shiplap paneling accent wall and white marble flooring and shower tile. 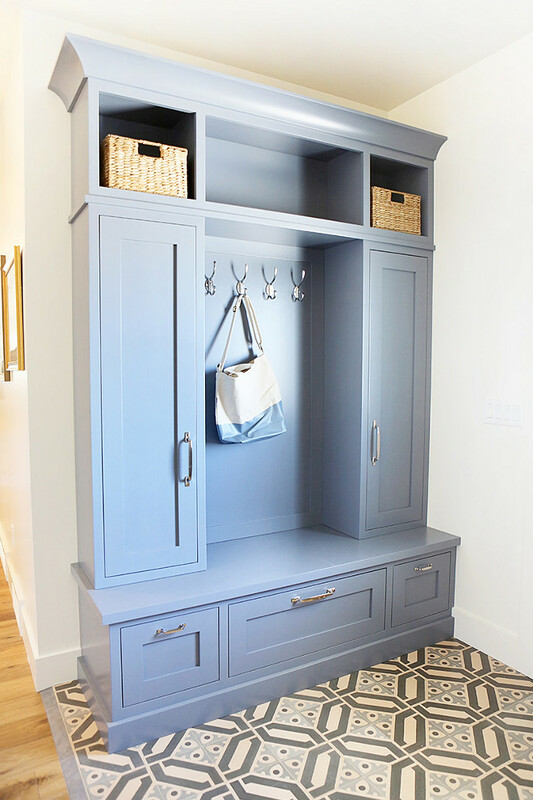 Blue Cabinet Paint Color: “Benjamin Moore 840 Kensington Blue”. 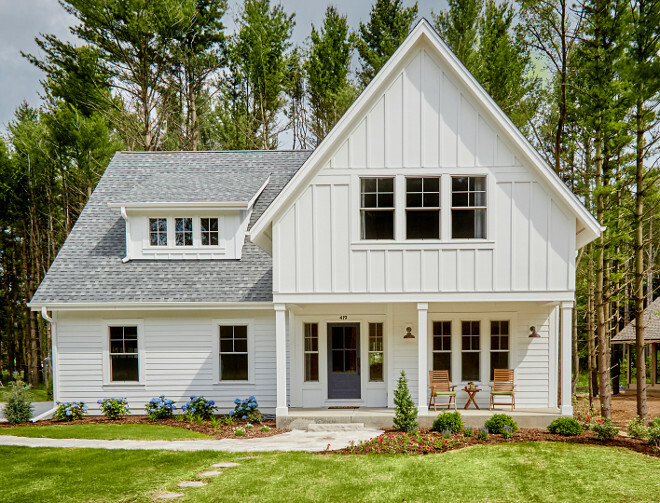 Modern Farmhouse Siding: Siding is James Hardie in Arctic White. Top half is board and baton. Bottom is lap siding. Trim is LP Smart side painted in Arctic White to match. 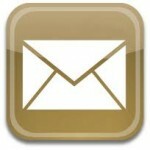 Miller Marriott Construction Co. LLC. 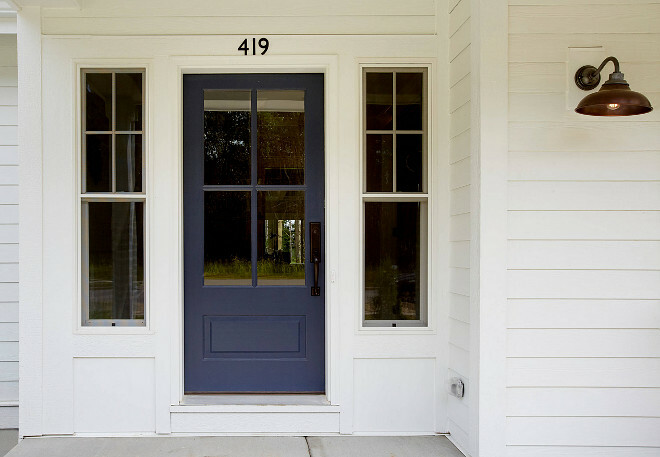 Navy Door Paint Color: Benjamin Moore Hale Navy HC-154. 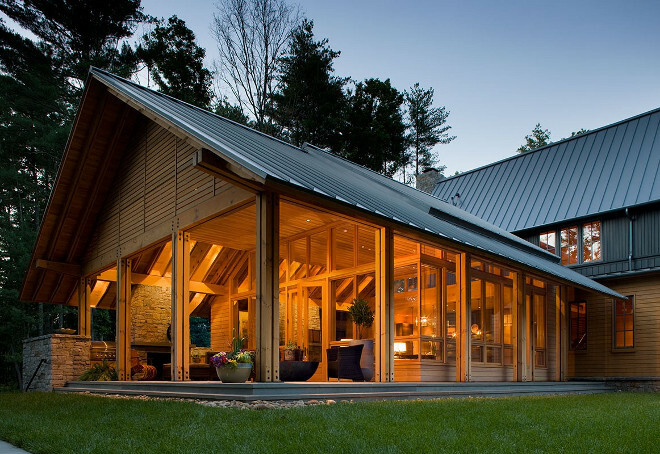 Exterior Barn lighting is from Rejuvenation. 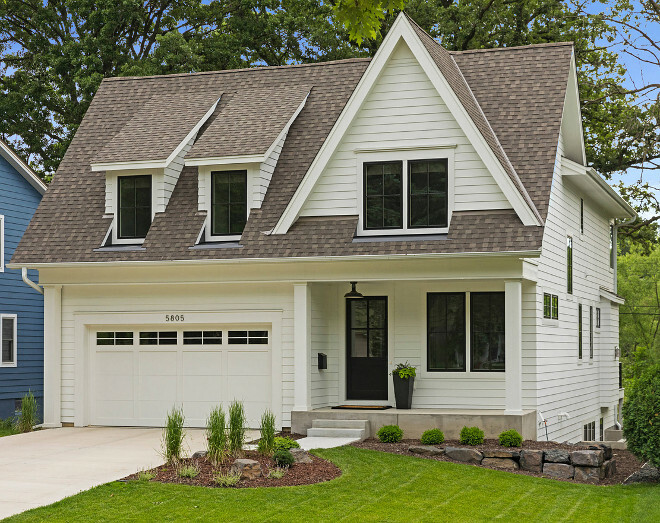 Gorgeous modern farmhouse with side entry garage and bonus room above. The roof is manufactured by AEP Span the color is Cool Zactique II. The siding is Cypress. The stone on the house is Watauga Field Stone. The walkway pavers are Bluestone. Exterior paint color is Rock Bottom from Sherwin Williams. 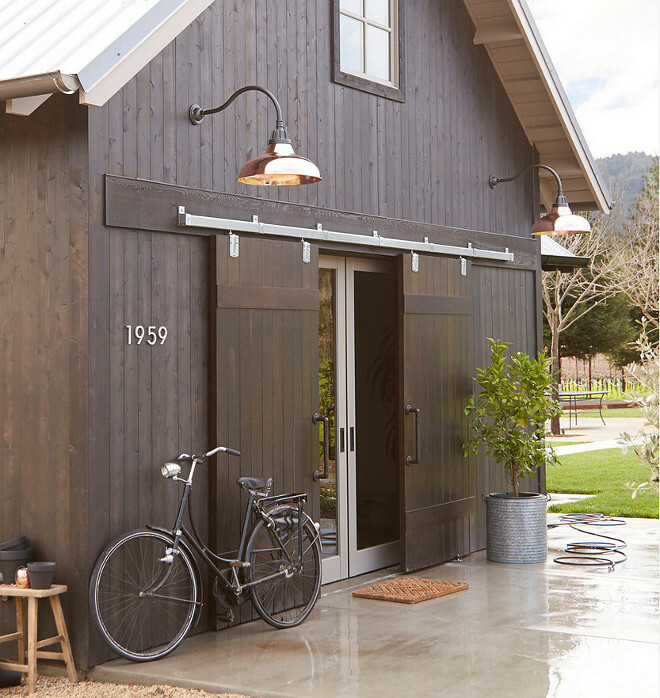 Barn style home with exterior barn doors and copper barn lights. 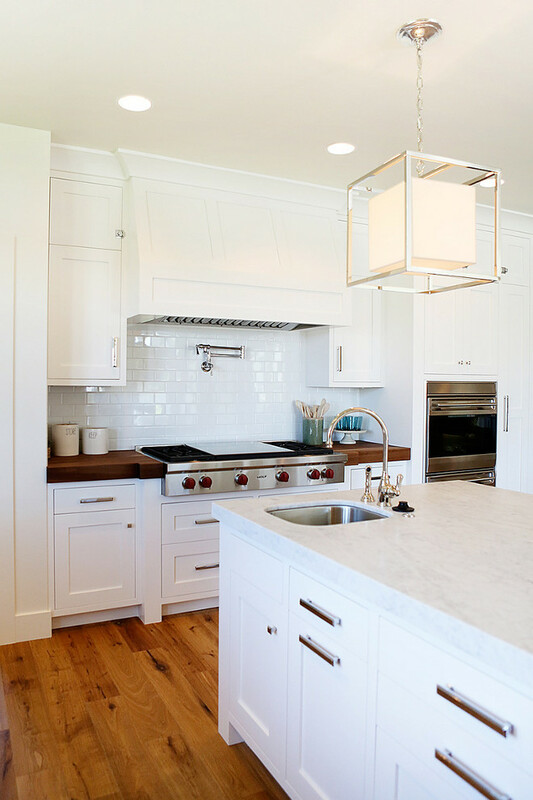 Copper lighting is Rejuvenation Carson Gooseneck. 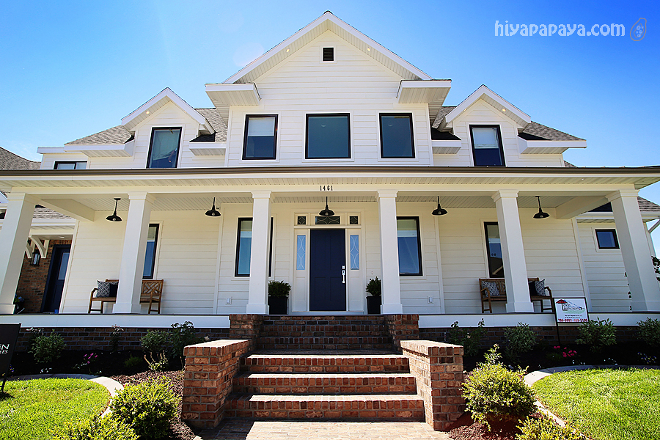 1st Image: Carlton Edwards Architects – Exterior paint color is Rock Bottom from Sherwin Williams – satin finish. Window trim is is Sherwin Williams Attitude Grey. 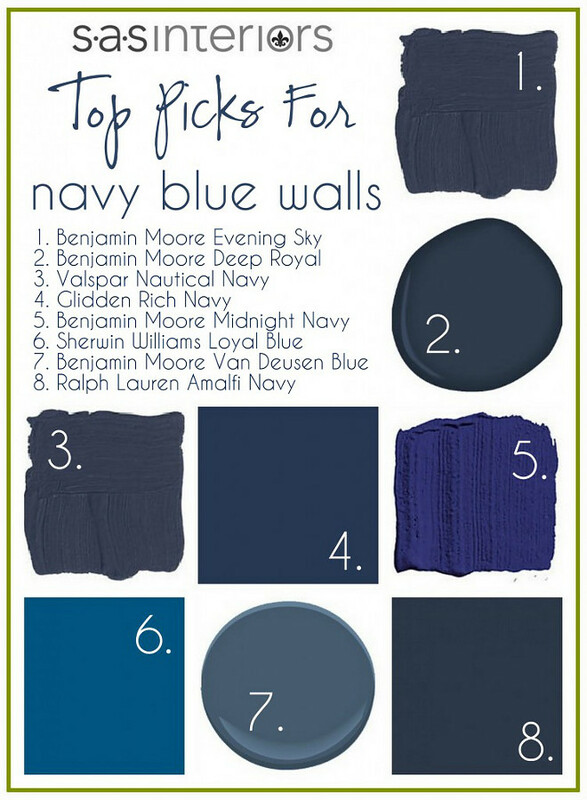 Best Navy Blue Paint Colors: Benjamin Moore Evening Sky. Benjamin Moore Deep Royal. Valspar Nautical Navy. 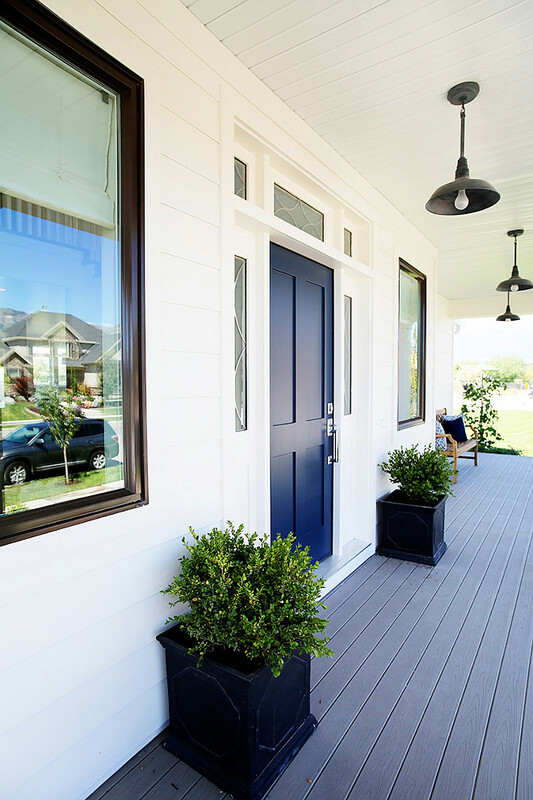 Glidden Rich Navy. Benjamin Moore Midnight Navy. Sherwin Williams Loyal Blue. Benjamin Moore Van Deusen Blue. Ralph Lauren Amalfi Navy. 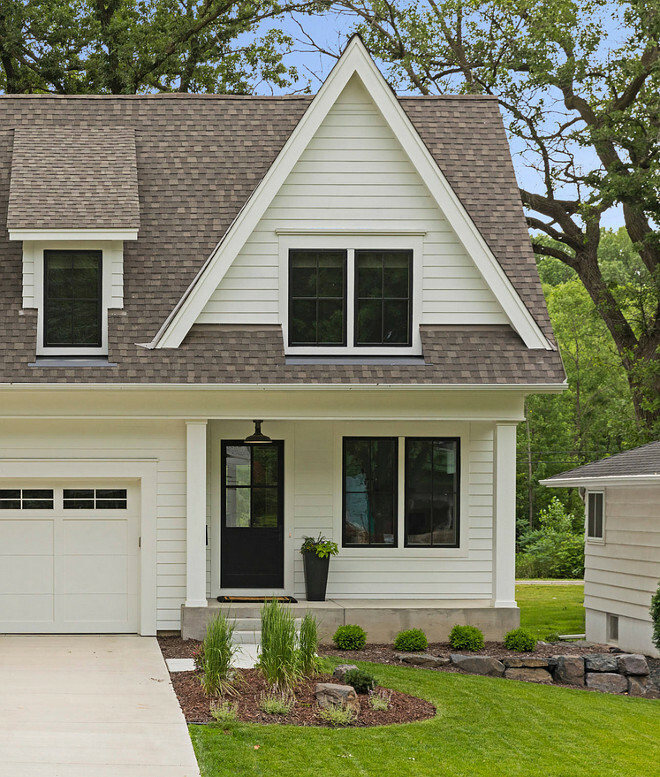 Wednesday: Craftsman New Construction Design. Thank you for being here my friends and I hope you have a Blessed weekend! We’ll talk again very soon.